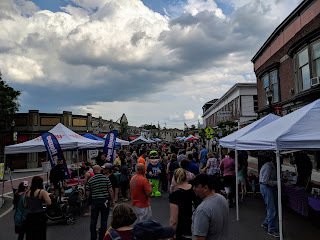 Friday night was the largest crowd I have ever seen for a downtown event. 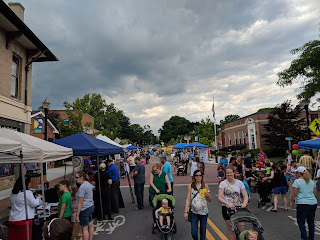 The weather threatened and held off to provide opportunity for lots of families to make the walk to and around downtown. 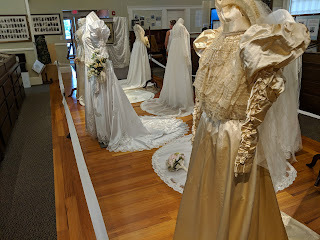 I stopped at the Historical Museum first. Heard there was a waiting line to get in when it opened at 4. The bridal gowns are on display through August so if you haven't yet been, go. 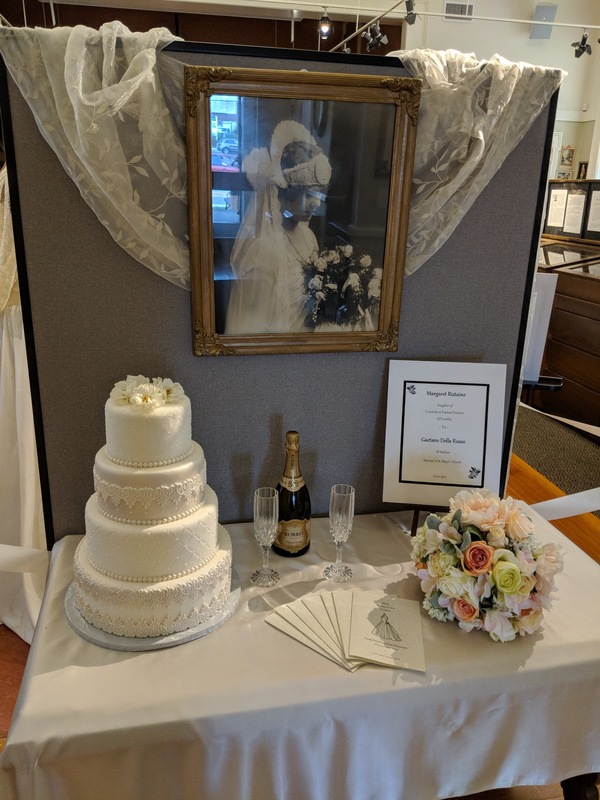 Pick up one of the booklets shown on the table near the cake and bouquet, it will walk you around the display to tell you about the gowns. 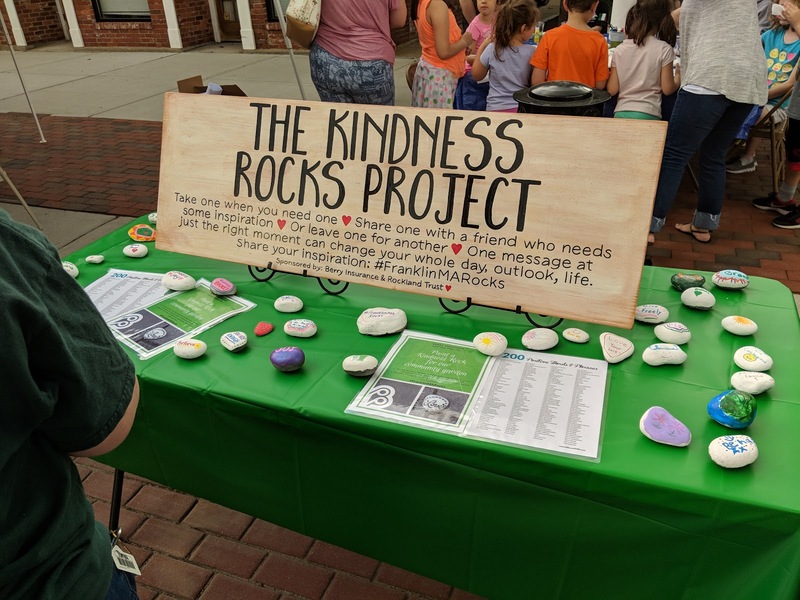 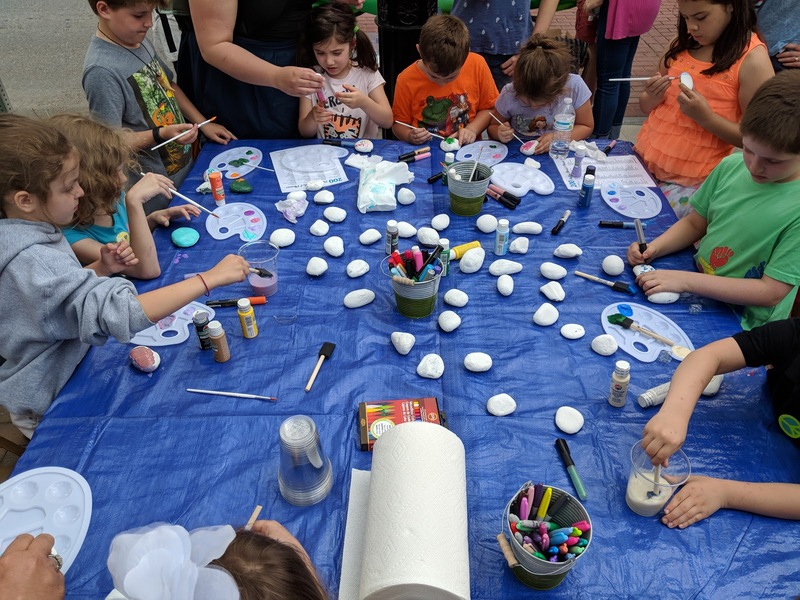 A collaboration between Rockland Trust and Berry Insurance enables a craft activity for kids to create kindness rocks. The application for the Cultural District has been formally submitted to the State. 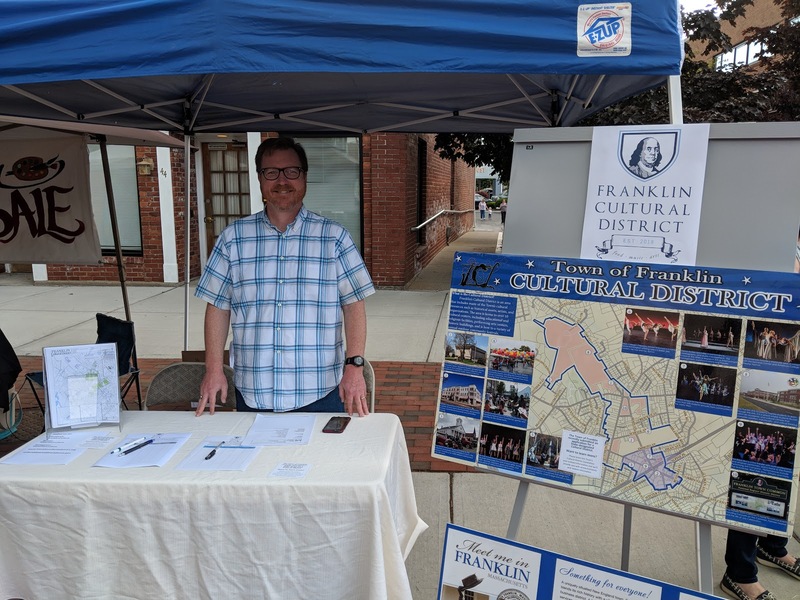 A whole lot of work has been accomplished to this point setting Franklin up for good times! 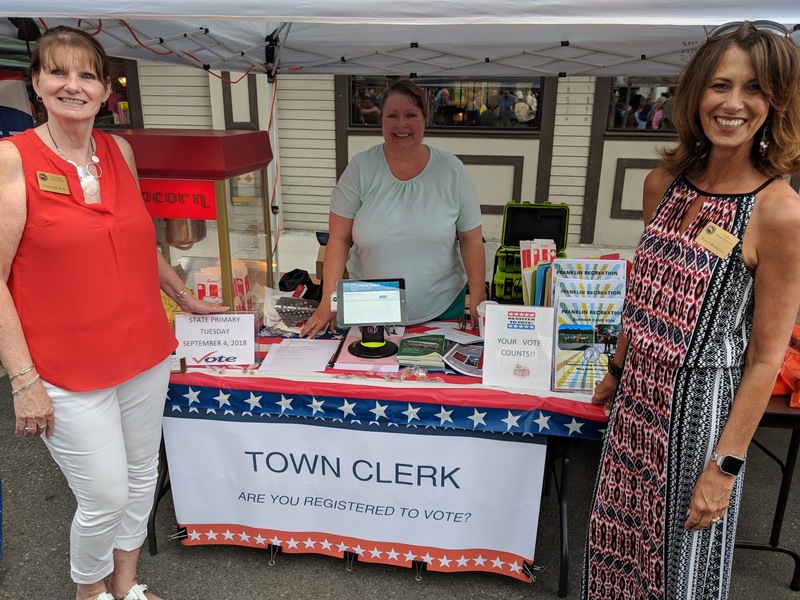 The Town Clerk's office had a table to enable voter registration and talk about the new voter kiosk that will replace the books at the precinct tables when we vote in the state election (primary - Sep 4, election Nov 6, 2018). 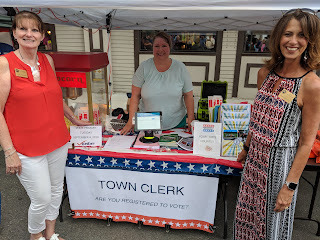 More info on the voting process will be shared as the election approaches. 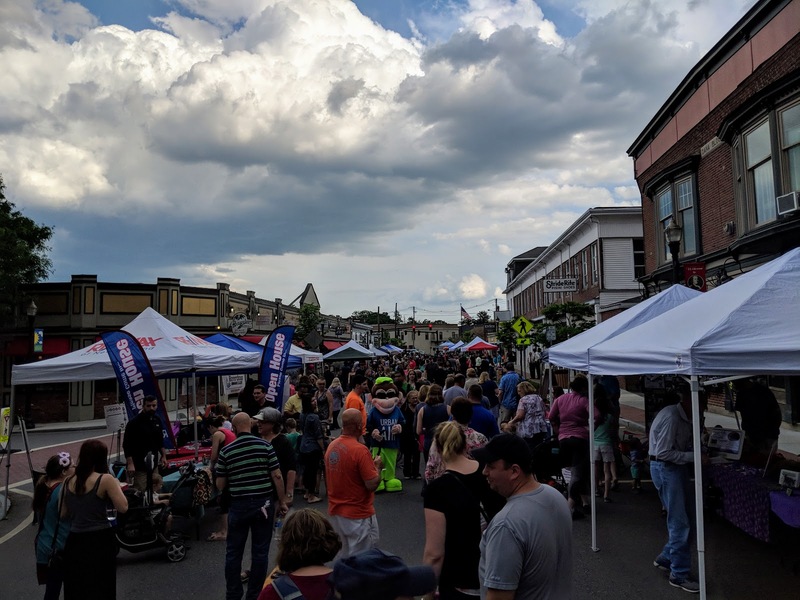 The schedule move to Friday night certainly helped to make the Strawberry Stroll a great success. 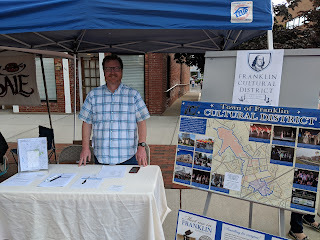 Thanks to the Franklin Downtown Partnership and everyone else who helped create a great night for Franklin.